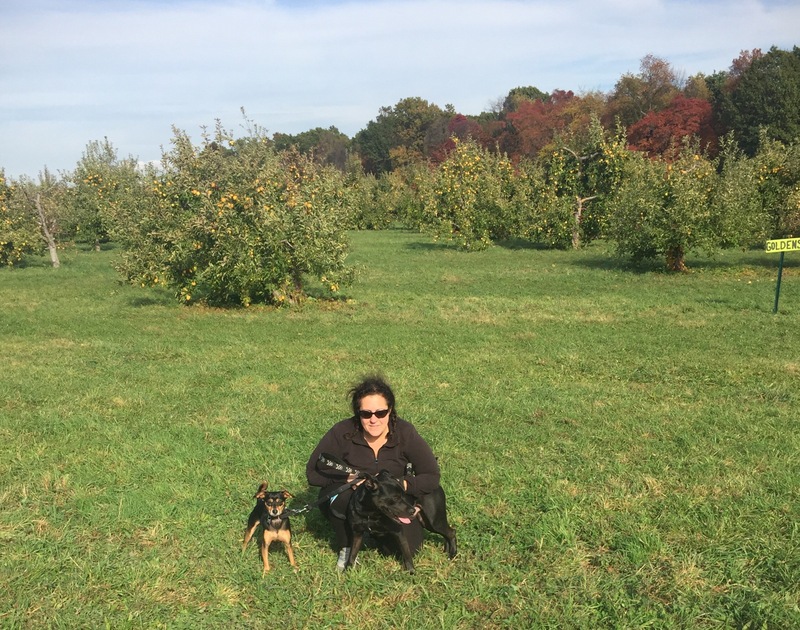 This past weekend, I took the boys apple picking at an orchard in the Hudson Valley part of upstate New York. Afterward, we took a walk across the Walkway Over the Hudson. It was so much fun! 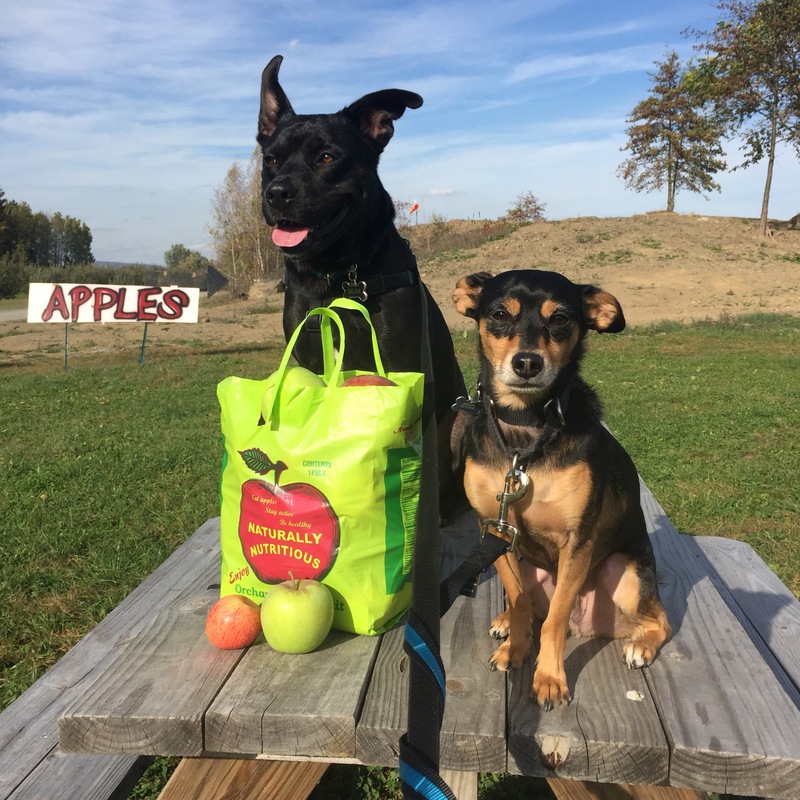 It marked a couple of firsts for us, like the first time we went apple picking, Bear’s first time at Walkway Over the Hudson and maybe most importantly, the first time the three of us have done an outdoor activity together since Toby left our pack. 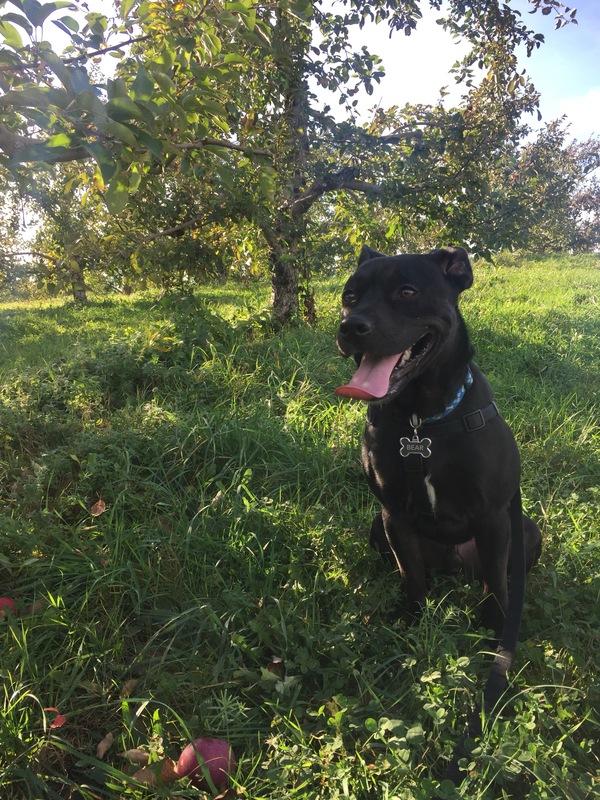 First off, the place we went ­– Wright’s Farm in Gardiner, N.Y. ­– was incredibly dog-friendly. 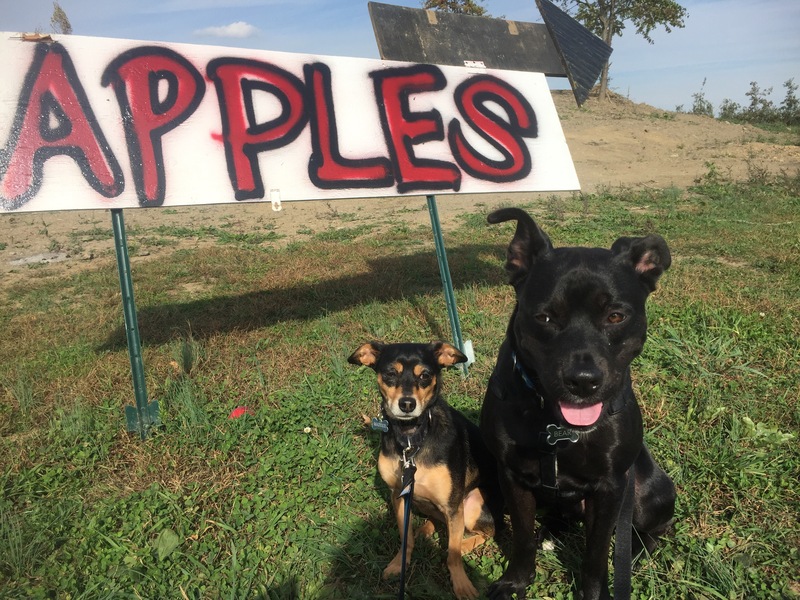 When I read about the market and orchard, I was a little hesitant, but there were dogs everywhere. In fact, of the people we ran into, only two of them didn’t have a dog, or dogs, with them. 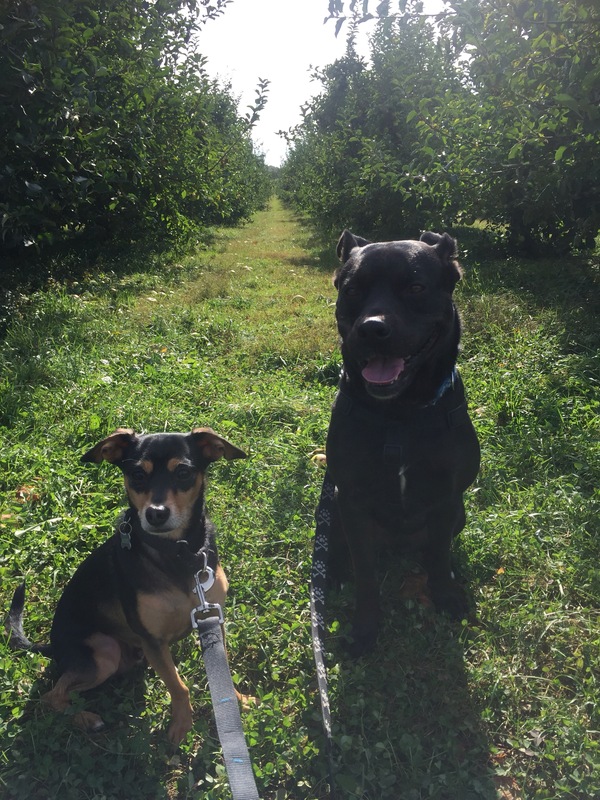 They were able to come everywhere with me and it was a so much fun walking through the apple orchard with them. Minus Maddux wanting to eat every dog he came in contact with, the boys did really great. He has become really leash reactive and I am not sure why, but I am working on fixing it. It won’t be an overnight thing. He did the same thing when we were at Walking Over the Hudson. It was very embarrassing. There really is nothing like fresh picked apples. They are crunchy and flavorful, and are the perfect Fall food. 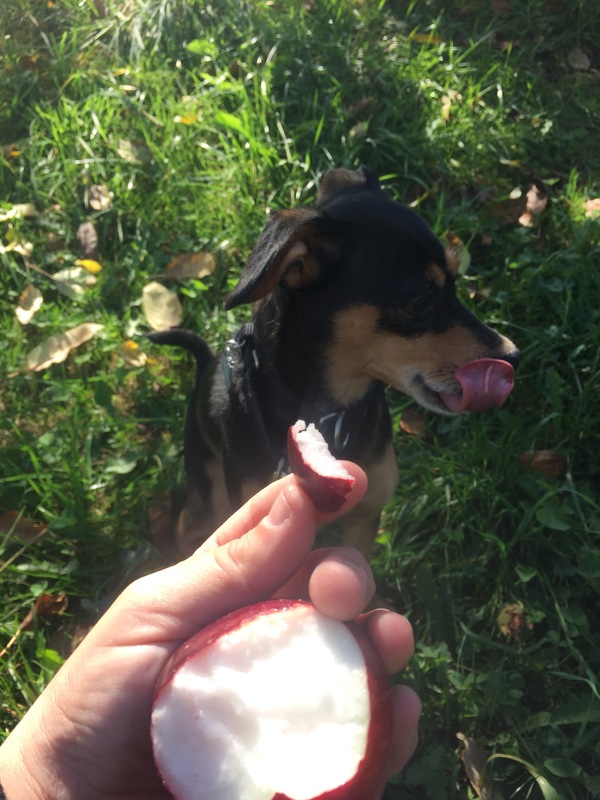 I absolutely loved being able to walk up to a tree, pick an apple and eat it, which I did do with one of the small apples. I gave piece to Maddux and Bear. Once of them liked it and one of them didn’t. Any guesses which liked it? Of course, Maddux! He gobbled his piece up. I don’t think there is a food Maddux doesn’t like, but he definitely does enjoy his fruits and veggies. Bear on the other hand, I wish I had video. He spit it out immediately. It was pretty hilarious. I tried several more times and then gave up. They did really good together, which had not always been the case in the past. They were even manageable to work with when trying to get them to pose for photos. I was very impressed with them. 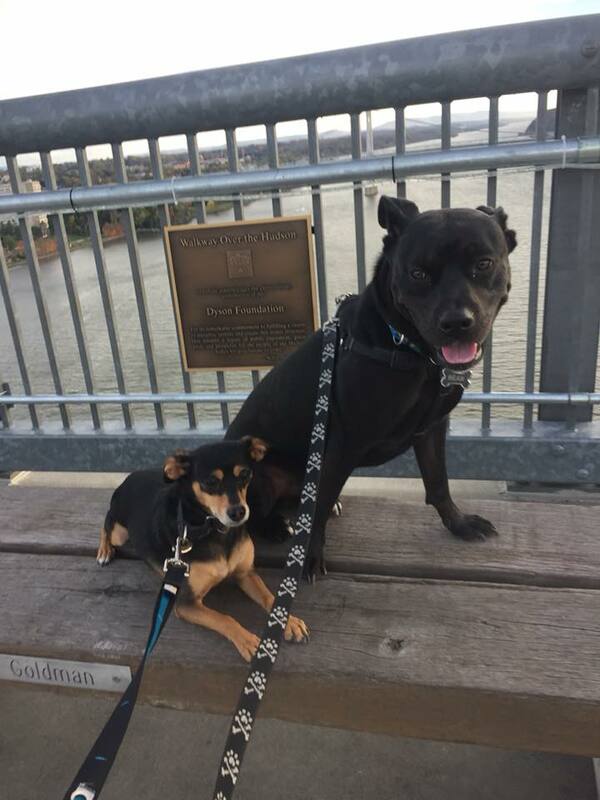 Since they did so well at the orchard, I decided to take them to Walkway Over the Hudson. For those of you not familiar with it, it is literally a walkway high above the Hudson River that connects both sides. 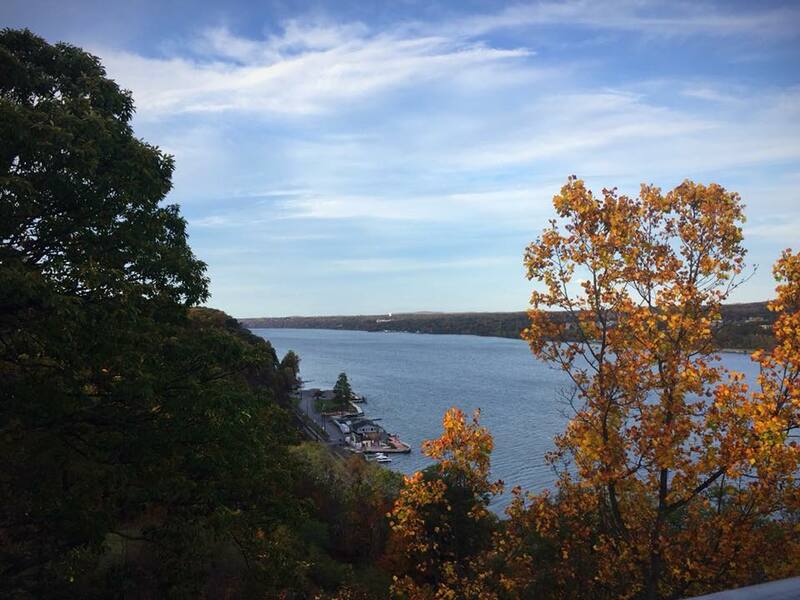 It’s got beautiful views and is a fun little walk. On a beautiful, cool fall Saturday evening, it was packed. I used to love talking Toby for a walk here, although we didn’t do it often enough. Given the amount of people, the other dogs, kids, stroller, bikes and scooters, the boys did really good. Bear just walked along like it was just the three of us. Maddux, did get annoyingly barky around other dogs, but in general he did great, too. When I posed them for this photo, there were numerous distractions around – and people of course kept stopping to tell me how obedient they were being. They really were. I always joke these are the reasons you teach dogs obedience … it’s not titles, it’s so you can take photos of them. 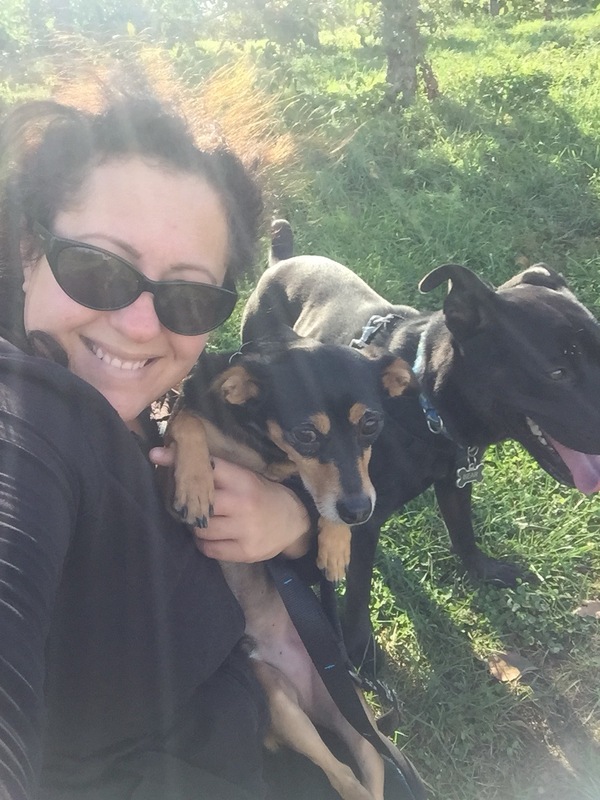 It was a fantastic Saturday with my pups, something I really needed and can’t wait to do more of, especially as I gain more confidence that they are getting to the point they can do more things together.